Well, it's been quite a time since I posted a news update. I've been very busy, both with my current job, as well as working on the emu. Although I wanted to make a new DuoS DSEMU release a few months ago, I didn't want to just release a fixed version, but something that might show some real improvement over the last beta. So far, I remade the entire settings interface, fixed sound issues, added support for compressed files, fixed a lot of games... and made a Windows 8 RT (yes, for tablets) compatible version. Windows version release is being delayed because I really want it to be perfect, and as far as possible, definitive, in order to be able to focus on other platforms. For that, I really want to thank our users for their patience and support. As for real news, DuoS DSEMU will, next year, come in two new flavours: iPhone and Windows 8 RT. Windows 8 RT version is working well so far, and although it supports no sound and has lots of graphics problems, it is almost playable on the emulator (yes, I do not own a Windows 8 tablet, so I haven't been able to test it for real yet). iPhone (IOS) version codebase, on the other side, is pretty different from Windows 8 RT version. In WinRT I was able to keep most of the code, and only having to remake stuff related to interface, graphics rendering, sound output and such... but not on the emulation engine themselves, except for the Dynamic Recompiler. iPhone (IOS) version runs extremelly slow... I mean REALLY slow on my iPhone 3G, and doesn't run at all with the IOS simulator in Mac. I expect its performance to be a lot better on an iPad (which I don't own) or iPhone 5. Currently it has no sound, and it's NOT using any kind of accelleration such as OpenGL or Dynamic Recompiler. Anyway, please, don't expect any release very soon, except maybe for Windows version (which I want to finish ASAP) during the begining of this coming year. Please do not ask for an Android version yet, iPhone is being quite difficult by itself so far, also I do not own any Android device where to test or develop with. I, again, want to thank all the people who provided me with feedback needed to fix the emu for its next, and hopefully definitive, release. 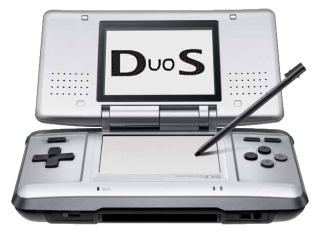 Also, I want to give a separate and very special thanks to Angel Diez Fernandez, who was the only person, ever, to make a Paypal donation to the DuoS DSEMU project. Some pokemons and characters become invisible in Pokemon Rangers,please fix this error.Thanks for the fantastic emulator. I already fixed that one, but if you want to confirm that it is already fixed for next release, please send me a zipped savestate file. Will be great if there is Android port. Great job anyway. Good luck, hopefully this project will go further. please consider porting it to 360/PS3 this is great. I already have it "compiled" for homebrew PS3... but the fact of not owning a PS3, makes the job a bit more difficult. Then for Xbox360, I though about a XNA port... but that will not work (very very poor performance)... my Xbox is not JTagable... so... it will have to wait. 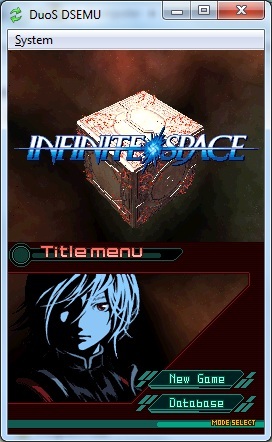 So far, Windows 8 and IOS are my current goals as emulation platforms. Hey Rook if you still have the ps3 version with you i'll be willing to test it for you as I have a cfw ps3 & their many other people willing to test aswell. If you still have it contact me and I will test as will others. Oh,and you can develop an application with this tool. BTW:This is google's official developing tool for android apps. The emulator dont work for my pc dont know what the problem i put roms sounds comes on but no picture nothing just the sound of the game that the only problem maybe you should put setting like no$gba that will help with the problem thankx. DuoS autodetects if it can go on OpenGL or Rasterizer automatically... Maybe there's some kind of driver problem. Can you send me some info about your PC's specs? In Megaman Starforce:Dragon, Virus fighting screen(upper one)is invisible. Black Screen after startup menu in Dragon Quest:Hand Of The Heavenly Bride. could not click any item in "Simple DS Series Vol.42: The Haioku Byoto"
I think I never tested that game. Can you send me its "game code", and maybe a savestate so I can test it? Great job DuoS! Fifa 11 works flawlessly but I hope you guys fix up some other games with sounds and graphics! Keep up the great work! Sound has been fixed A LOT, so I expect no bigger complains about it, when I get the next DuoS version released. DuoS can make a savestate? 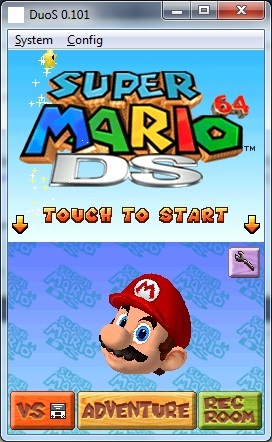 DuoS can save and load savestate files (just hit System - Load/Save), as well as saving into the emulated DS internal memory. en el megaman batlle network 5 double team ds para obtener la sol cross se nesecita poner un juego de boktai en el cartucho de gba a lo que voy es que en el duos podrias poner la opcion de poner roms de gba junto al de ds? Ruben, por ahora no tenemos planeado agregarle el slot para cartuchos de GBA. Por otro lado, talvez si le podamos agregar, en algun momento, un parche automatico para que el juego "crea" que tiene el cartucho conectado (siempre y cuando no lea "verdadera" informacion del cartucho). When to release a new version? Hi there! I'm trying to play pokemon Black 2 on this it runs smoothly actually that's better then Desmemu. But the only problem is the VERY bad sound quality, I tried to go fix it myself but there were no ways to mess around with the settings...Like at all. And you cant play pokemon if the sound makes you want to turn off the music. I would love to test this for you on my ipad mini jailbroken 6.0.1 let me know!! I would pay atleast 20 bucks for a working emulator keep up the good work! Coming when ? an idea of release date (beta or final) ? Do you plan on adding action replay and gameshark usage to the program? When will the ios version be out ? I can't wait for this to come out on iOS! If it's good enough, I can get rid of my DS! Sorrry i dont make the homework, well, in Advance wars dual strike, the sprite of the buildings, forest, and some terrains make the units invisible(or is down the sprite of the building). Hi, what about Windows Phone version? It will be amazing! De verdad creaste un emulador? Qué increíble! Es como los emuladores que existen ahora en el iPhone se? Estoy maravillado con lo que has creado y también porque lo hiciste hace cuatro años, cuando todos estábamos usando la telefonía con juegos que podías tener gratis y automáticamente en tu celular. Hay uno para Nintendo 3DS?